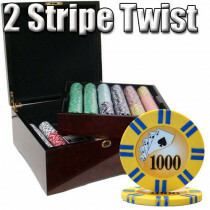 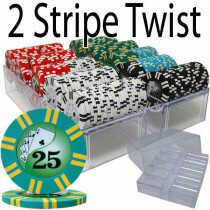 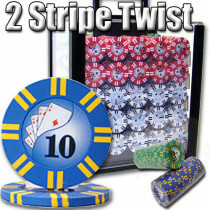 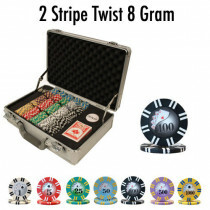 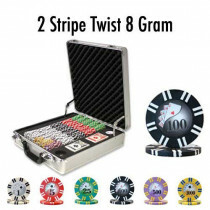 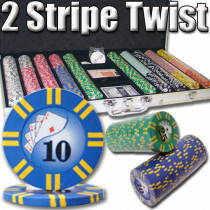 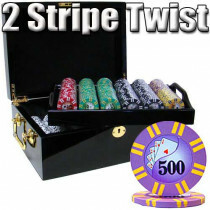 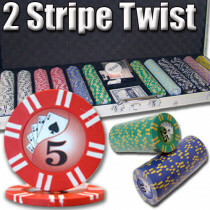 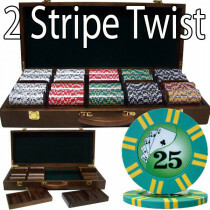 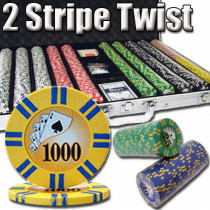 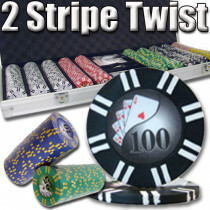 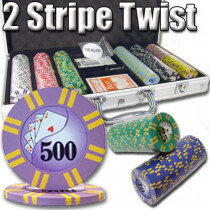 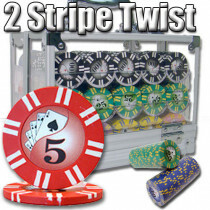 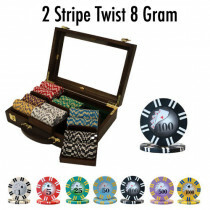 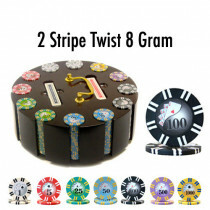 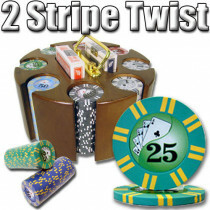 If you are looking for a good set of casino chips that won't break your back when you need to carry them, these 2 Stripe Twist chips are the perfect solution. 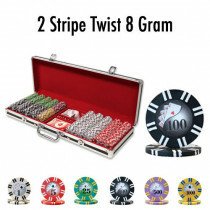 A very popular design, this chip combines the wildly popular Yin Yang design on the inlay with the 8 Gram 2 Stripe poker chip blanks. 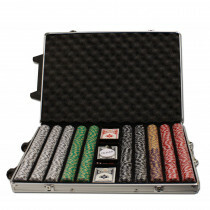 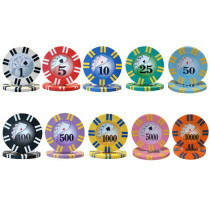 These chips look and feel great and are the perfect set to buy if you transport your poker chips often.